An already bitter Republican primary runoff for a Texas house seat has turned uglier in the final days before early voting begins as court filings from one candidate’s divorce and child custody battle take center stage. State Rep Doug Miller, R-New Braunfels, and opponent, Kyle Biedermann. State Rep. Doug Miller, an insurance agent from New Braunfels who has represented the Hill Country area District 73 since 2009, faces Kyle Biedermann in the May 24 runoff election. A Fredericksburg hardware store owner who made waves earlier in his campaign after a picture emerged of him dressed as “Gay Hitler” at a 2008 charity fundraiser, Biedermann has attempted to focus the race on what he views as Miller’s insufficiently conservative record in office. But now court documents — portions of which were published this week on the conservative news site TexasGOPvote.com — from a protracted custody battle between Biedermann and his ex-wife after their separation 16 years ago have put Biedermann back on defense. The documents contain reports from court-appointed attorneys for the couple's children and a psychologist about Biedermann’s behavior with his four daughters, who at the time ranged in age from five to nine. The records reveal a hard-fought divorce, with Biedermann's wife of 11 years accusing him of inappropriate interactions with the children and other emotional and physical abuse. Biedermann disputed her accusations, sometimes saying his wife was mischaracterizing innocent behavior. At one point during the course of the divorce, a judge found that Biedermann had violated prohibitions on "degrading" his wife in the children's presence and on particular sleeping arrangements with them during a vacation to Florida. His wife received an emergency court order banning him from coming within 100 yards of his daughters. The order followed a home study conducted by attorneys appointed to represent the children that raised some questions about Biedermann's behavior but ultimately concluded both parents would be fit to have primary custody of the girls. In the final divorce agreement the couple signed in January 2002, Biedermann's wife Avian received primary custody of the children, though he was granted visitation rights weekly and every other weekend. Biedermann continued to fight for more time with the girls over the next several years. In 2012, a judge granted the couple joint custody of their remaining two minor children. When asked about the court filings by The Texas Tribune, Biedermann said he was demanding a public apology from Miller. His campaign also provided statements from his children, ex-wife, and her divorce attorney condemning the incumbent for bringing the divorce into the campaign. The Tribune’s attempts to reach Avian Biedermann to confirm her statement have been unsuccessful, and the campaign did not respond to further questions from the Tribune about the divorce records. 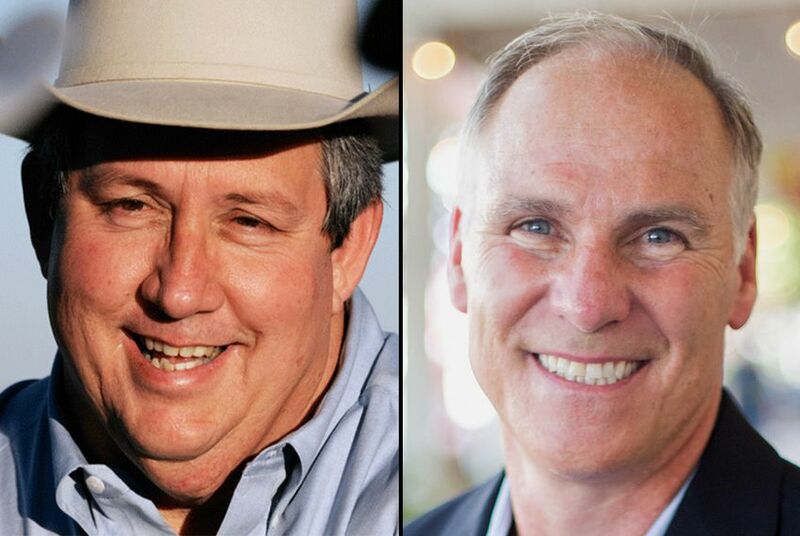 After a string of primary losses, the Biedermann-Miller runoff is one of the last chances for anti-establishment conservatives opposing Speaker of the House Joe Straus to oust one of the San Antonio Republican’s allies. Miller came in first in the March primary but was forced into a runoff because he won only 43 percent of the vote. Biedermann received 40 percent, and a third candidate, Chris Byrd, earned 17 percent. Byrd, a lawyer, accountant and conservative activist from Boerne, has declined to endorse either of his former opponents in the runoff. “For different reasons, each candidate has not left me compelled to endorse either one,” he said. Though Byrd said he would be casting a ballot in the runoff, he said that neither Biedermann nor Miller had a track record that gave him enough confidence to make a public endorsement. When asked later about the divorce records, Byrd said in an email that the "official file stamped court documents speak for themselves." State Rep. Jonathan Stickland, a Tea Party favorite and Bedford Republican known for his vocal opposition to House leadership, has also endorsed Biedermann. In an unusual move for a sitting lawmaker, Stickland has appeared personally in the district to campaign against his colleague. He called the Miller campaign's use of the divorce records "pathetic." "It’s gutter politics, Doug knows it is," he said. "That’s why he waited to the last minute to put it out because he doesn’t want to give anyone enough time to figure it out." Stickland also brushed off the unsuccessful attempts to defeat other Straus chairmen in the primaries. He said that the current race would be a bellwether for the upcoming legislative session.